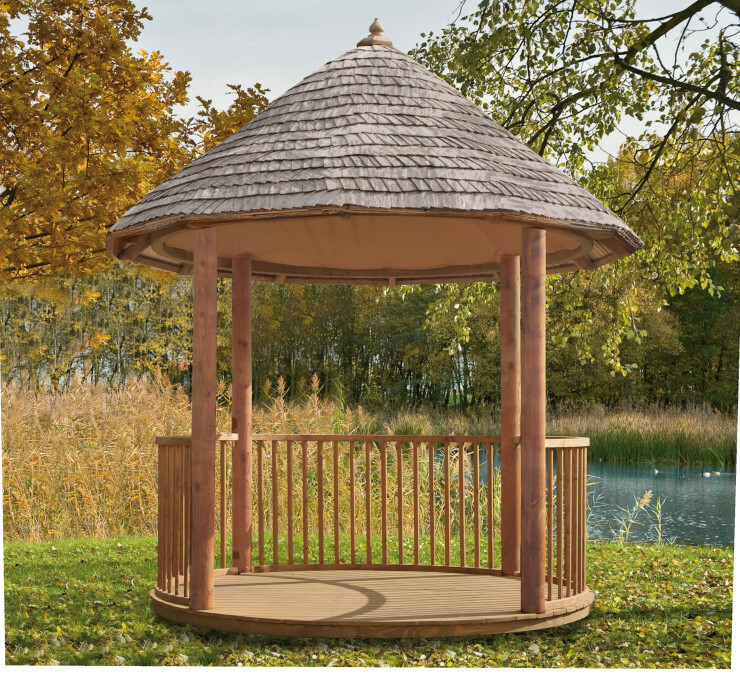 This circular gazebo is a new addition to our product range. If you are looking for elegance and something unique, this gazebo will ideally suit your garden. It makes a perfect place for family and friends on long summer evenings. Aspen Chip is a proposal for supporters of traditional and ecological solutions, which gives your gazebo a rustic look. Handcrafted cedar or felt shingle roof tiles are an optional feature.